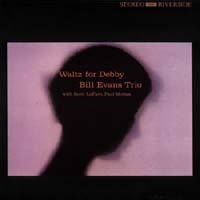 This is the second of two Riverside albums made up of selections recorded by the classic Bill Evans/ Scott LaFaro/ Paul Motian trio at their legendary live recording session of June 15, 1961. Although originally issued a half-year later than Sunday at the Village Vanguard (now OJC 140), this was by no means an afterthought collection of lesser items. Evans and producer Orrin Keepnews had immediately recognized that there was more than enough material for two top-level records. The dozen chosen performances were subdivided to enable the first album released to feature LaFaro, who had died in an auto accident just ten days after recording. Thus this second collection can fairly be said to present a more typical overview of this remarkable unit at work.